You cannot leave or work in home or place full of waste. Hence, you have to find a way to remove the waste from your home. However, how will you remove the waste effectively? Many people usually opt for waste removal companies. Nonetheless, do you know how they work? Or do you know of any? If not, then I have a solution for you. Currently, there are many waste removal companies, hence, you have to know which are the best. The following are things you should consider before hiring a waste removal company. Before you engage yourself with any waste removal company, their removal prices are generally key. Cheap is expensive, hence, don’t go for the cheap ones. This is because they can cause you lots of trouble. Its better you choose the relatively expensive waste removal company and get the best services than rather choosing a cheap one. In different places, there is a variety of waste. Hence, before hiring one you should consider your type of waste. In homes, the most found waste material is plastic materials, food waste, bottles, and paper products. While waste in industries is usually scrap metal, plastic pipes, and wood products. So, before hurrying on making a conclusion to hire a waste removal company you must clearly know which company is the best in handling your type of waste. Not all materials are non-biodegradable. So, before hiring a waste removal company you should try to separate the biodegradable material from the ones that don’t. By doing this you may save on the cost of hiring a waste removal company. Most food products easily decompose so, if you have a garden you can throw these products to decompose. By doing this you will save a lot. 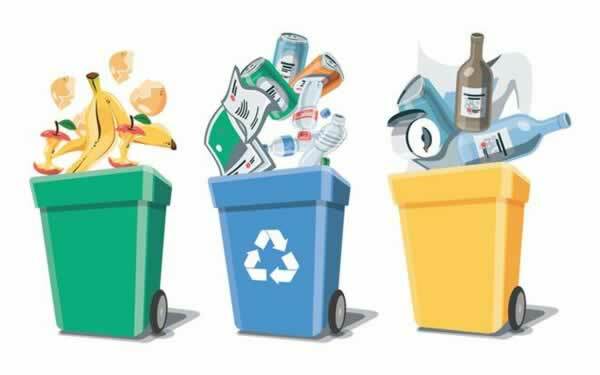 So, if you are in a home it is important for you to have separate bins for different waste materials. Everyone always wants to get rid of waste materials as fast as possible. Therefore, hiring a waste company that will not be punctual is like a waste of money. Thus, before making a decision on hiring a waste removal company you should know how fast they are. This will most help those people who own restaurants or hotels. A waste removal company that works on a daily basis is usually the best. Therefore, you need to consider this factor before hiring one for your business or home. This is some of the things that you ask for and sees before choosing a waste removal company. This is because some people tend to lie ending up not delivering after you have paid for the waste removal services. In every state or town, every waste removal company should be licensed. So, afore hiring a waste removal company ask for a license or research online if the company is licensed. If it's licensed, you are guaranteed that the company works legally. In recent years the amount of waste in the world is increasing rapidly. Therefore, before hiring a waste removal company you should know how the company disposes of the waste. This will help to safeguard the environment. Every company should have a strategy on how to dispose of both non-biodegradable and biodegradable materials. So, find the best company that has the best policy when it comes to waste management and recycling. When doing anything one does it professionally. Or if you hire a person for a certain job you clearly ensure that the person has the required experience in that field. This is no different when it comes to waste removal. Hiring an inexperienced company for your waste removal job will be a wild experience. Hence, you should consider hiring a waste company that is experienced for quality work. Don’t hire a company that is based in another town for your waste removal. You should consider a company that is near your town for efficiency. Therefore, you must hire a company that is your location or town for fast and effective services. Researching and finding the best waste removal company is somehow hectic. So, don’t pile pressure on yourself. By following this simple steps, you may find the best waste removal company. If you do this, I assure you will not regret the services of the waste removal company you finally hire.